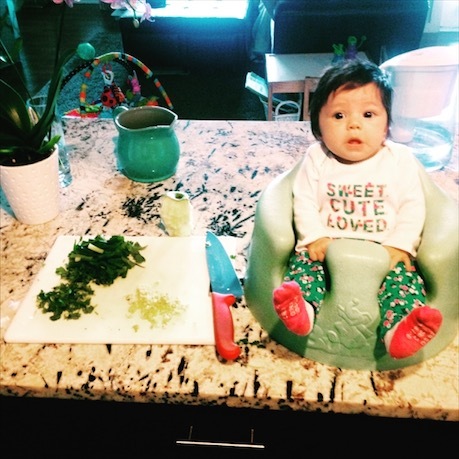 I had been telling her how my sweet three-month-old is sleeping better, so I’m sleeping better, so I’m finally feeling up to cooking again. And she can even sit on the counter and watch me! Of course the times I love cooking the most is when all I have to do is cook, and not cook while trying to figure out how to help all three of my kiddos who all need something at the same time. 1. 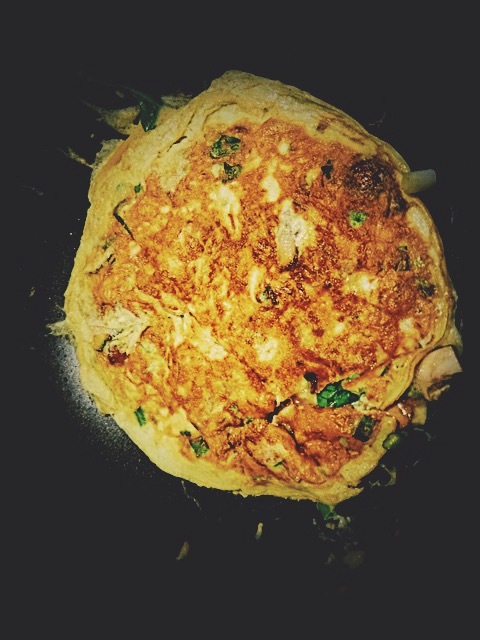 Thai Omelette: If I took a poll of what Thai dish I cooked the most was, Thai Omelette would be the winner without a doubt. I’ve made it for breakfast, lunch or dinner, and throw in whatever veggies or extra meat is in the fridge. 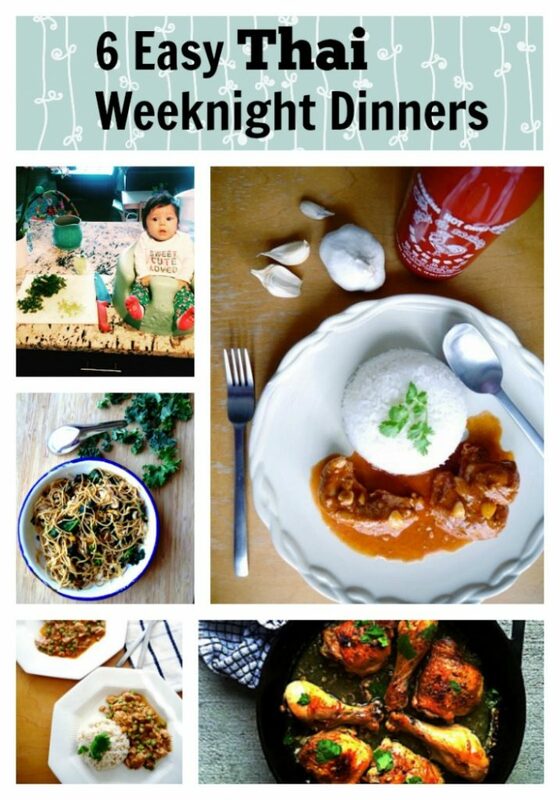 My Thai hubby and kids love it, and I love it because it takes 15 minutes top to make, and it’s filled with protein and veggies and is a Thai dish. Can’t get much better than that. 2. 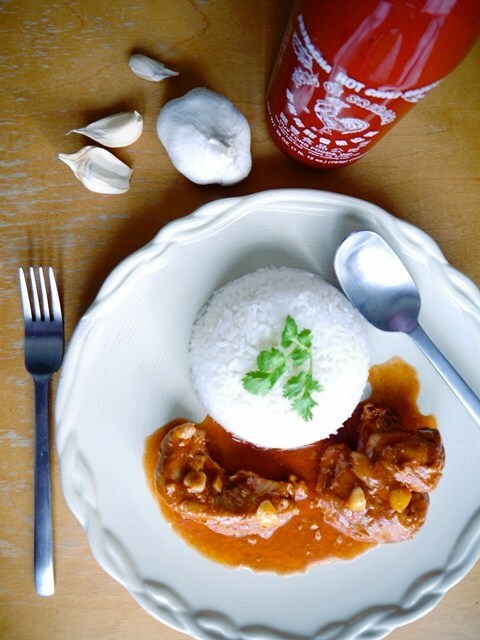 Spicy Sriracha Chicken: Chicken is my Thai Hubby’s go-to meat because he is a weightlifter and enjoys that it’s lean and protein-packed. And I love that Spicy Sriracha Chicken just takes some chicken, garlic and a few sauces, and no prep! 3. Pad See Ew Spaghetti: If you asked my son Rocco what his favorite food was, he would say, “Noodles! !” So Pad See Ew Spaghetti is one of his favs, and is so easy to make. 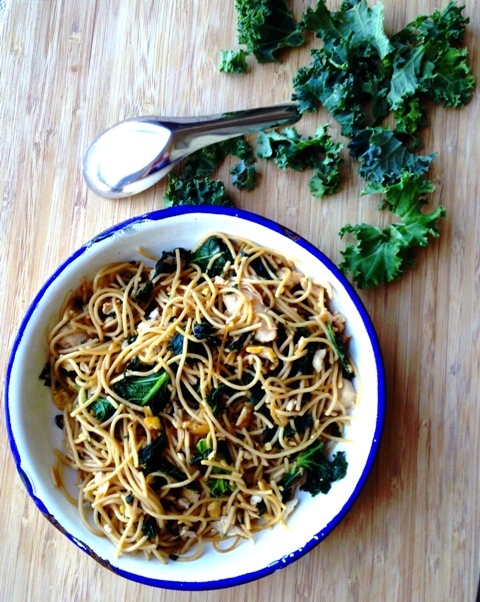 All you need is spaghetti noodles, kale or spinach, eggs, and Thai soy sauces! 4. 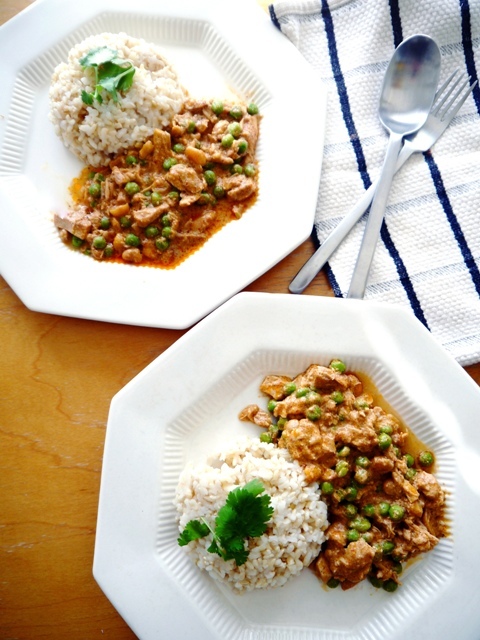 Crockpot Thai Chicken Curry: Crockpots and Thai food aren’t usually heard of together, but this Thai Chicken Curry is awesome in the crockpot since the Thai curry flavors get to soak into the meat all day long. Yum! 5. 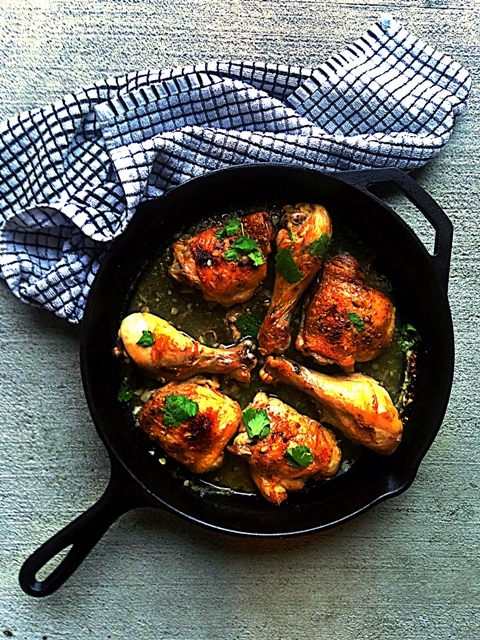 Thai-Style Honey Lime Chicken: I adore this quick, flavorful, crispy chicken recipe and so does my Thai Hubby. My favorite part is that I don’t have to do anything, and it just cooks on its own in 30 minutes! Most Thai dishes involve stir-frying, so it’s nice when I do a Thai-fusion recipe and let the oven do the cooking for me. 6. 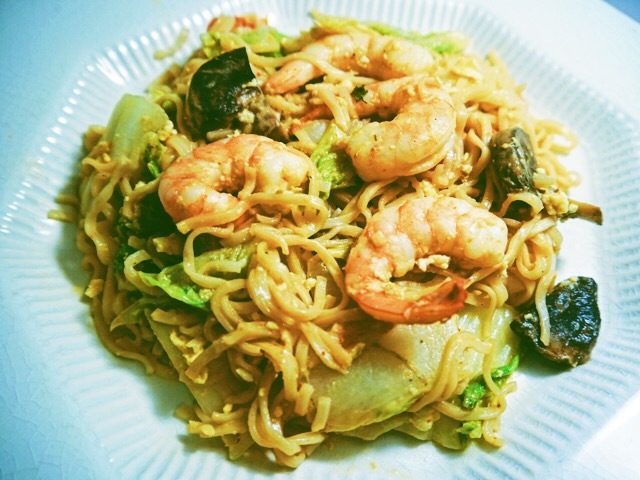 Mama Noodles Stir-Fry: On the nights my Thai Hubby cooks for me, this is usually what he makes. It always makes me think back to our newlywed days of buying Mama noodles at 7/11 in Bangkok, and my Thai Hubby stir-frying them in our little red hot pot in our studio apartment in Bangkok. And then devouring them while sitting on the floor, watching Prison Break episodes on our computer. Such sweet, simple nights! 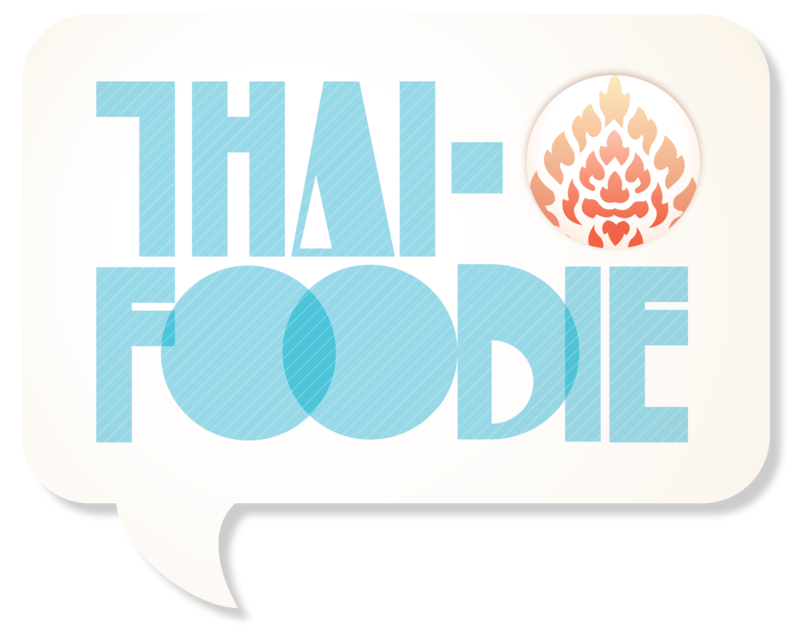 What’s your favorite quick weeknight Thai meal? Make one and tag us on Instagram and show us!